X-rays require very little preparation. Radiographs are often spur of the moment necessities, such as during an emergency, like a broken arm. If you have time to plan ahead, it may be useful to wear loose fitting clothing to allow the body part in question to be easily accessible. Be aware you may need to take off any accessories, from glasses to jewelry, to create a clear image. Ask your doctor beforehand if you should avoid food and water before coming in. Getting an X-ray is generally a pretty simple process for the patient. Your radiologist or radiographer will position you appropriately between the X-ray source and X-ray detector. While the term “X-ray” is generally used to refer to the process, they are actually the literal light waves sent through the body. Different body parts have differing amounts of radiological density, which is what creates the varying shades of white, grey, and black. For example, because bones have so much calcium in them, they are much denser and show up in lighter shades than organs. 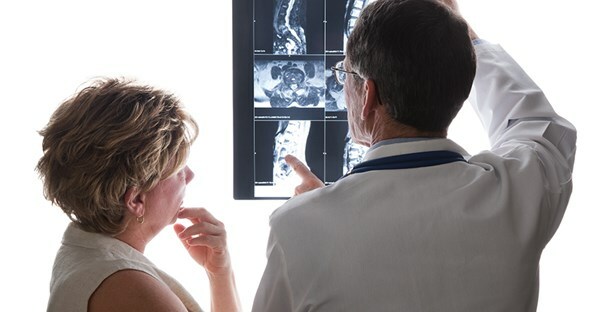 Although there are generally no immediate ill effects (beyond the potential discomfort of maintaining a particular position), the ionizing radiation of X-rays can carry potential side effects in the long term. X-ray doctors and technicians must wear special protective gear when administering X-rays because frequent exposure can lead to skin burns. However, this is not usually a risk for patients, since their exposure is so much shorter and infrequent. While ionizing radiation can increase the chances of certain cancers, this is mainly only a slight increase, dependent upon how many X-rays are taken over the course of a lifetime. The intensity of each X-ray also plays a part; doctors generally use the lowest setting, when possible. The younger you are when you start getting X-rays, the greater the chance of a problem eventually arising. Additionally, women are more susceptible to such problems than men. Overall, however, most sources agree the benefits of X-rays far outweigh the potential risks.